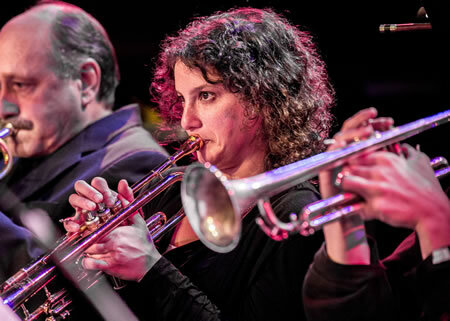 The Bushwick Book Club Seattle has teamed up with the Seattle Jazz Composers Ensemble and Eric Lane Barnes (with members from Seattle Men’s & Women’s Choir), to present original music inspired by The Old Testament. 10 Songwriters have written 10 new songs based on 10 stories form the Bible’s Old Testament. SJCE took these songs and arranged them for a 7-piece band and chamber choir. Thursday & Friday, all this comes together to bring you an evening of song, comedy, and theater, re-imagining stories from one of the oldest, influential, and controversial books we know. Bushwick ringleader Geoff Larson is promising 10 tuneful perspectives on 10 Old Testament stories. Let the “begats” begin! 8 p.m. Thursday-Friday, Town Hall Seattle; 1119 Eighth Ave., Seattle; $15 online, $20 at the door. MIRROR, by Doug Aitken, is a new permanent installation on the façade of the Seattle Art Museum that will change in real time, in response to the movements of life around it. Like a living kaleidoscope, it will be a dynamic representation of the constantly changing environments that make up Seattle and the Northwest. The event will feature minimalist composer Terry Riley and his monumental work, In C, performed by Seattle Symphony musicians and other members of the creative music community including Stuart Dempster, Amy Denio, Sam Boshnack and Beth Fleenor. To celebrate the unveiling of this new Seattle landmark, there will be a street party along First Avenue and Union Street on Sunday, March 24 at 6:30 pm. The event is FREE but tickets are required; reserve your tickets in advance as space is limited. The entire museum will also be FREE and open to the public all day on Sunday, March 24, from 10 am–9 pm. Pick up your complimentary ticket at the SAM Ticketing Desk. 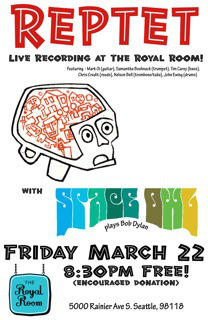 Space Owl (Seattle’s own Psychedelic Rock review) who will finish the night out, are debuting a night of Bob Dylan songs for the occasion. Music starts at 8:30pm. 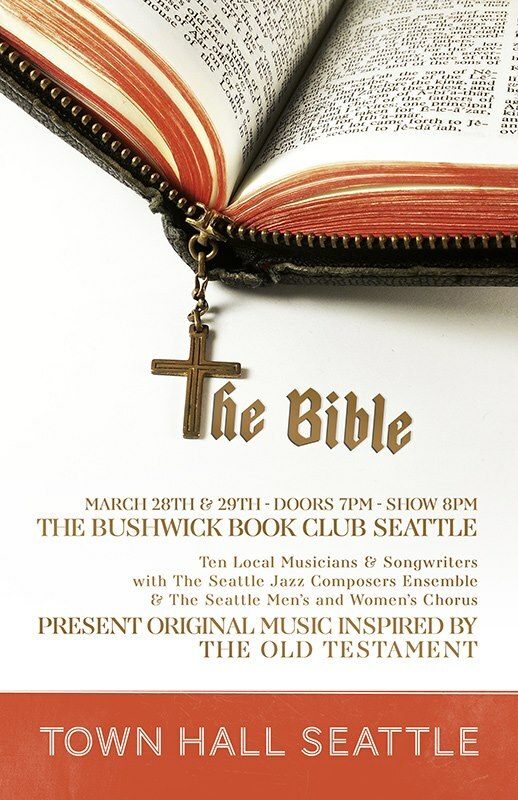 The Bushwick Bookclub Seattle and the Seattle Jazz Composers Ensemble(SJCE) have joined forces to produce a big event featuring: The Bible! And we need your help in raising $3000 by March 21 to help make it happen. 10 Songwriters have written 10 new songs based on 10 stories form the Bible’s Old Testament. SJCE took these songs and arranged them for a 7-piece band and chamber choir. On March 28 and 29, at Seattle Town Hall, all this comes together to bring you an evening of song, comedy, and theater, re-imagining stories from one of the oldest, influential, and contraversial books we know. 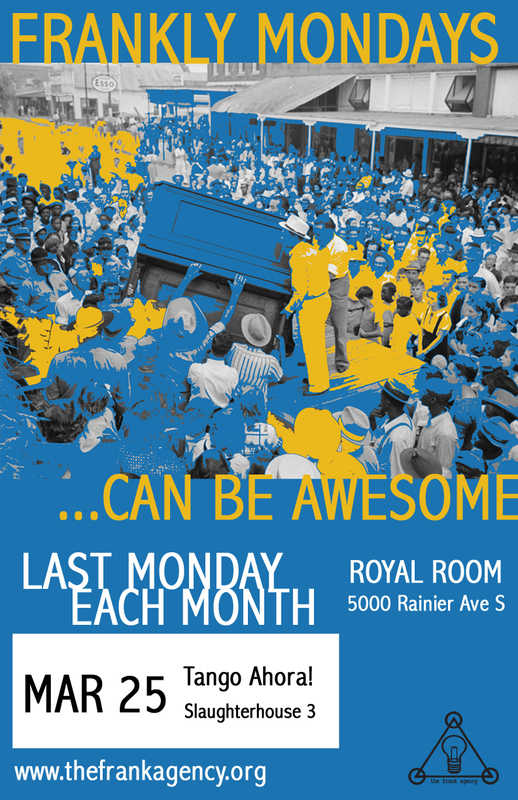 This community project involves the work of over 30 artists and reflects a wide range of music and arts found in Seattle. It is an ambitious project. This fundraising drive is to raise money for the venue rental fee and production costs. Covering these expenses ahead of time will enable us to give more of the money generated by ticket sales to the artists who created the work. PLEASE SUPPORT NEW COLLABORATIVE WORK! Tango Ahora! – inspired by nuevo tango, featuring Piazzolla classics & other originals – with Beth Fleenor (clarinet), Maria Scherer-Wilson (cello), Jason Parker (trumpet), Michael Owcharuk (piano/accordion) & Lalo Bello (percussion) starts the night – second set features gypsy influenced acoustic trio, Slaughterhouse 3: Fleenor & Owcharuk with Paul Kemmish (bass). 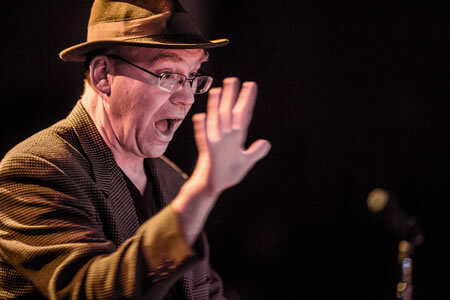 Led by Wayne Horvitz featuring Beth Fleenor, Sam Boshnack, Kate Olson, Craig Flory, Naomi Siegel, Steve Moore, Geoff Harper, Eric Eagle and other screaming characters from the creative music scene, the RRCME records a live album tonight, to be released in May. The ensemble heads east at the end of May, for a residency at John Zorn’s east village music gallery, The Stone (NYC).